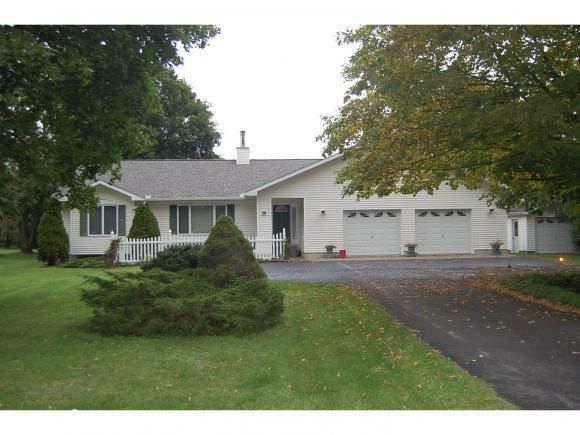 Elegant, well built 3 bedroom, 2 bath ranch set up for handicap accessibility. Formal entry opens to a gracious living room with fireplace and adjacent den. French doors lead to a 11.37 sun room from a formal dining room with skylights. Hardwood floors and radiant heat in kitchen floor. Convenient mud/laundry room with access to 2-car attached garage. Full basement with more storage area. 12x26 storage/garage shed suitable for housing garden & lawn equipment. Candor Elementary School Elementary School / Public 4 0.76 mi. Candor Junior Senior High School Middle School, High School / Public 4 0.77 mi. Nathan T Hall School * Pre-School, Elementary School / Public 3 8.44 mi. No Spencer Christian Academy * Pre-School, Elementary School, Middle School, High School / Private N/A 8.16 mi. Newark Valley Middle School * Elementary School, Middle School / Public 3 8.44 mi. Spencer Van Etten Middle School * Middle School / Public 6 7.55 mi. 98 SPENCER ROAD, Candor, NY 13743 is a 3 bedroom, 2 bath single family home was sold for $185,000.